Cephalexin is effective against gram-positive microorganisms - Staphylococcus spp. 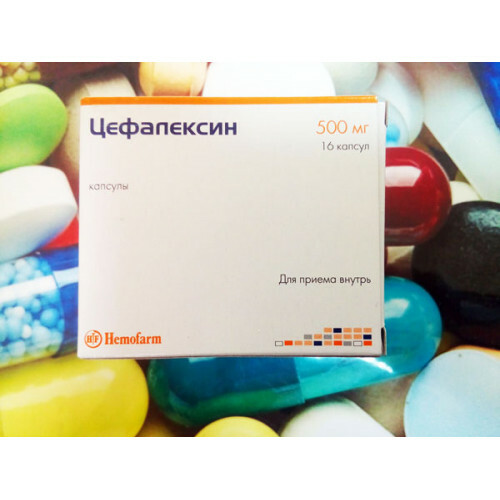 , Staphylococcus epidermidis (penicillin-resistant strains), Streptococcus spp. (including Streptococcus pneumoniae and Streptococcus pyogenes), Corynebacterium diphtheriae, Clostridium spp., and, to a lesser extent, Gram-negative microorganisms - Neisseria meningitidis, Neisseria gonorrhoeae, Shigella spp., Salmonella spp., E. coli, Moraxella catarrhalis, Klebsiella pneumoniae, Treponema spp. Cephalexin is resistant to penicillinase of staphylococci, but is destroyed by cephalosporinase of gram-negative microorganisms.